If you like trying out vegan products and if you like being surprised; then Vegan Tuckbox might be right up your street! Each customer receives a box of vegan goodies and the contents are a surprise. Keep reading to find out why Chrissy and Kelly created this service and how they amend what they offer to suit the needs of their customers. What does the Vegan Tuck Box sell? 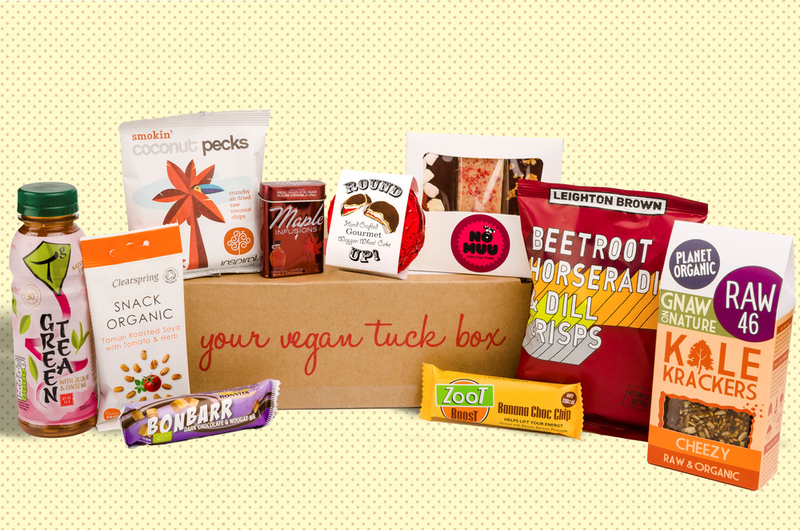 Vegan Tuck Box is a monthly vegan box scheme. 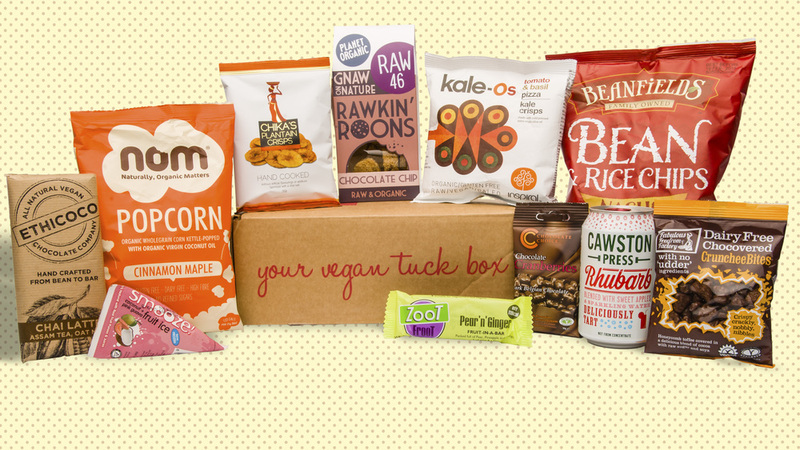 Currently we offer a box full of vegan snacks and treats as well as a Vegan Starter Box and Chocolate box. We also have an online shop that sells products individually. Our subscribers can add items from the shop to their monthly box without incurring extra postage costs. Where is the Vegan Tuck Box based? We live in Yorkshire but Vegan Tuck Box is solely based online. However, we exhibit at many vegan events around the country. What inspired you to create a business that solely focuses on different types of vegan snacks and treats? We are passionate about making veganism accessible for all so we set up Vegan Tuck Box to make vegan products more widely available and easier to obtain. 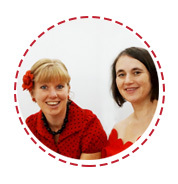 We are both long term vegans who have been involved in vegan outreach for many years including organising the Vegan Pledge – where participants try going vegan for one month. Meeting lots of wannabe vegans gave us lots of useful insights into the challenges people face when transitioning to a vegan diet. We discovered that finding quality vegan snacks can be a stumbling block to achieving a more compassionate lifestyle. Some also find reading labels time consuming and are unsure of which products are vegan. So we launched Vegan Tuck Box making it easier for everyone to go, stay and enjoy being vegan. We save you the trouble of looking for vegan products and reading the labels. We scour the globe for the tastiest, new and most exciting plant-based items and deliver them to your door in a surprise box each month. Pretty easy as there are lots of vegan products to choose from and many that are accidentally vegan. However, we like to specialise in finding vegan products that are not well known or readily available so we work hard to find these for our customers. Is Vegan Tuck Box owned by or in partnership with another company that does test on animals or sell non-vegan products? Never! We’re 100% vegan and always will be. Tell me a bit about yourself before you launched Vegan Tuck Box? Vegan Tuck Box is a small ethical 100% vegan business run entirely by two long term vegans, Chrissy Leyland and Kelly Slade. We have been friends since 2003. As part of London Vegan Campaigns we organised many events including the London Vegan Pledge. Having both relocated to Yorkshire, Chrissy to Holmfirth and Kelly to Sheffield we decided to continue our vegan campaigning work together and set up The Vegan Approach. What is your vision for the future of Vegan Tuck Box? Vegan Tuck Box is a service for vegans so we’re led by what our customers need and would like. Our customers asked for a smaller box so we gave them two size choices. We also launched a gluten free box in response to customer feedback. We’re currently surveying new customers to find out if there are any other types of vegan boxes besides our current snack box that they need. We’ll see what the survey says! So our future plans will be led by our customers and the vegan market, and we will continue to support new and independent vegan businesses and make it as easy as possible for people to live a compassionate life. How about saving 20% off your next order? Kelly and Chrissy have created this code just for you! Visit Vegan Tuckbox and enter blog20 when you checkout.